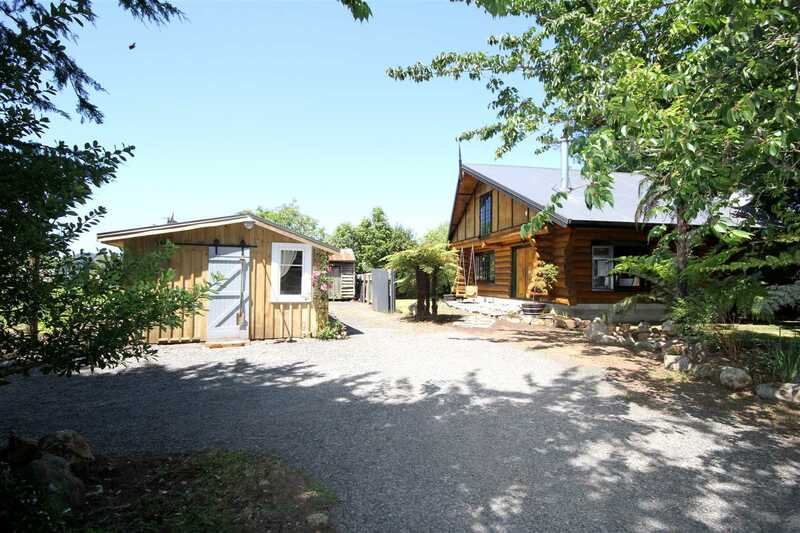 This unique character property will surprise and delight from the minute you drive down the tree lined driveway and open the Kauri carved doors to this native New Zealand timber-built Log Cabin. The large South Island Beech Logs will WOW you and you'll love the solid Kauri flooring and the Rimu kitchen with kauri and granite benchtops. It is light and airy with open plan living downstairs and two double loft bedrooms upstairs. Enjoy Summer evenings relaxed on the love seat that swings above paved schist stones or entertain on the split-level deck that has views out to Saddle Hill and spend winter nights cosy up with a cocoa and a roaring fire. - Currently run as a part-time holiday rental with forward bookings and there is the option to do the same. - Quiet, relaxed holiday home with separate accommodation for friends and family. - Live in the Log Cabin and holiday let the outbuildings for extra income. - Or just move in, enjoy and live a life less ordinary!